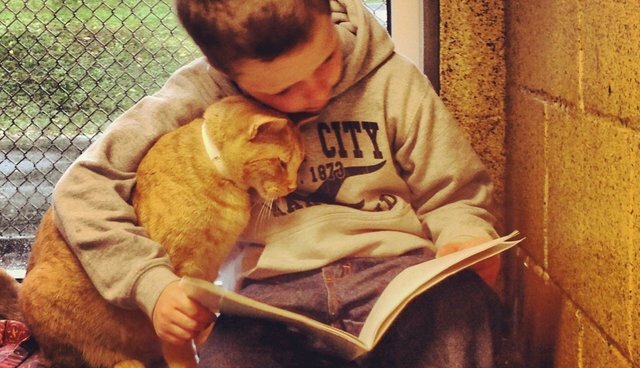 An animal shelter in Pennsylvania is helping young students improve their reading skills in the most heartwarming way imaginable -- by offering them a rapt audience of needy felines. 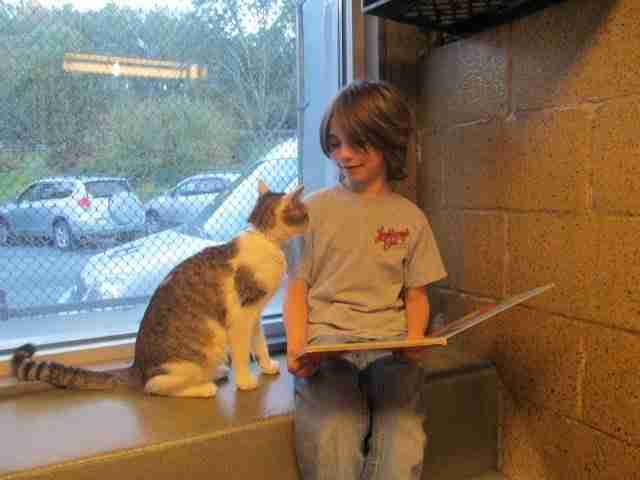 Last summer, Animal Rescue League of Berks County launched a program called Book Buddies, pairing elementary school kids who'd like to practice reading with homeless cats who'd appreciate the company. 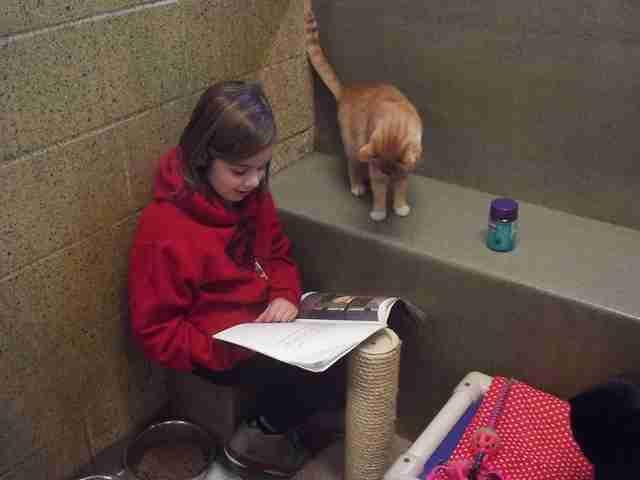 For young readers, building the confidence to read aloud in class can be challenging, but the shelter cats don't seem to mind when they mess up. 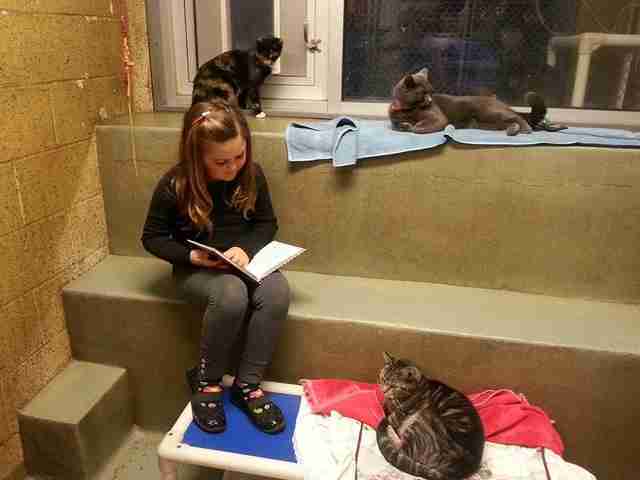 "The program will help children improve their reading skills while also helping the shelter animals. 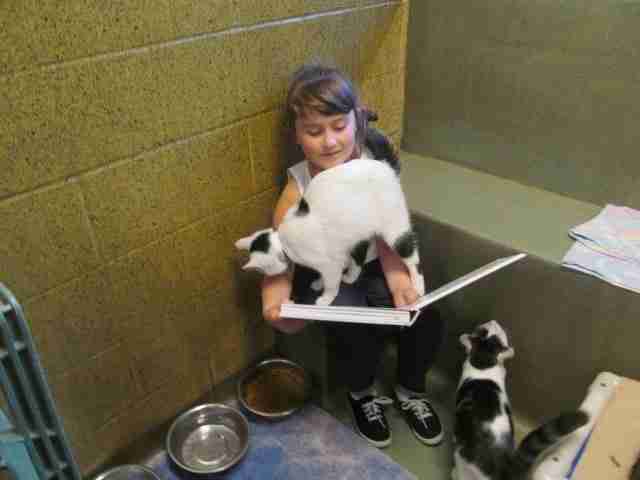 Cats find the rhythmic sound of a voice very comforting and soothing," writes the shelter. Parents of kids participating in the program say that they've seen improvement in their child's reading ability, thanks in no small part to the furry, judgement-free environment where they can practice. "I believe it truly helps him to not only read, but to help the animals who do not have warm loving homes, and that we must help speak up for the critters who do not have a voice," says one mother.